Paris (AFP) - Drones are about to have a big impact on our lives, even if they will not be delivering our orders from Amazon any time soon, say experts. Civilian drones began to make headlines in 2014, and hype aside, could soon be in everyday use, particularly in France and the United States, which are at the cutting edge of the technology. 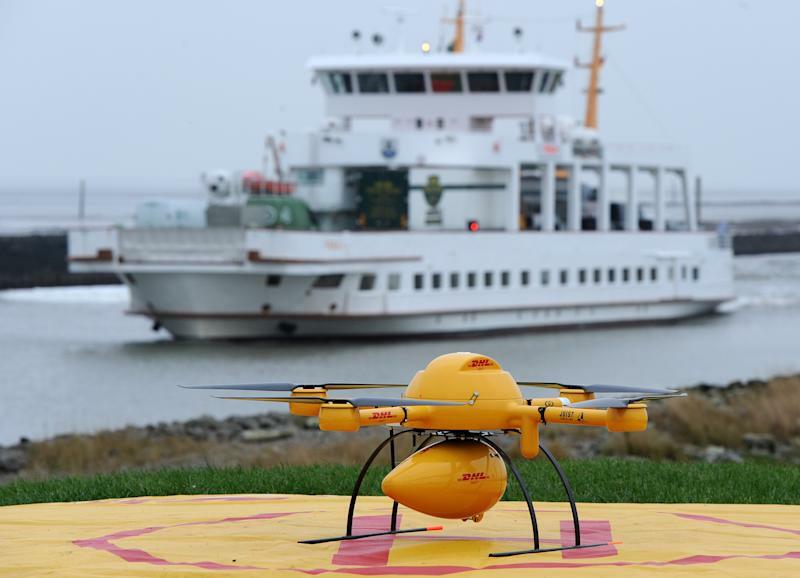 This developing sector is set to explode worldwide as the regulators begin to catch up with the technology, said Emmanuel de Maistre, boss of Redbird, a French start-up which makes drones for industry. Drones have up until now been mostly confined to the military, but are now being used more and more in civilian roles that go far beyond simple reconnaissance. Light, adjustable and easy to operate, they often bring better results than traditional means such as helicopters, light aircraft and satellites, and could "help us produce more and better, and in certain cases, more cheaply," according to France's Air & Space Academy (AAE). Drones are where aeronautics and hi-tech meet and are regulated by the air safety authorities, although they owe more to new technology than they do to aviation. "In a drone you will find everything that you have in your smart phone," said de Maistre. The public got its first taste of what drones can do in the TV coverage of big news events such as the Maidan protests in Kiev and the Tour of France cycle race, with viewers given new and surprising camera angles on the action as it unfolded. In Canada journalism schools are now even giving specialist courses in reporting with drones. Manufacturers like Parrot have also managed to grab a slice of the action with camera drones controlled by smartphone, a market that the American extreme sports camera maker GoPro would also like a part of. That said, the business is still only stuttering to life, worth around 500 million euros ($620 million) in Europe -- far from the $82 billion the US industry group Unmanned Vehicle Systems International (AUVSI) claims it will turn over in 10 years, when it expects 100,000 people to be employed in the sector. France is one of the pioneers in the field, thanks to its liberal 2012 laws on drone use, which has allowed start-ups like Redbird to forge ahead. Around 3,000 people work in the sector in France, mostly in small companies working overwhelmingly in image gathering. Redbird is going further, offering large industrial groups, including mining companies and electricity and rail giants EDF and SNCF, drones to help optimise their use of their quarries and networks. They are also being used to increase efficiency in agriculture and for improving the use of fertilisers, which could help the environment. 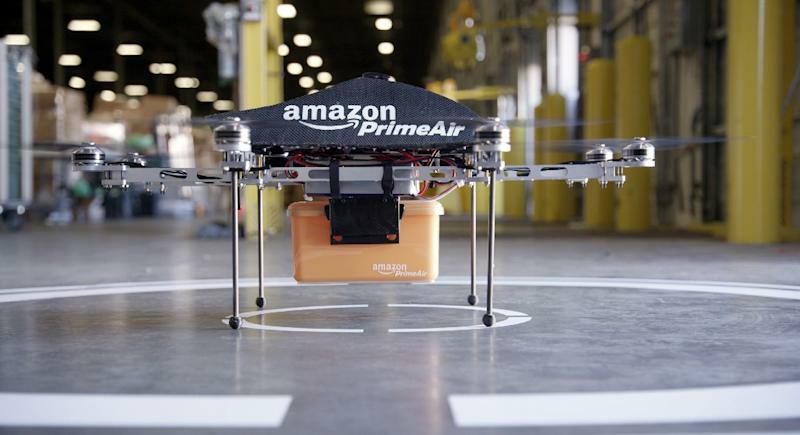 Above all drones are tools for collecting information, which is why big players in the digital economy like Amazon, Google and Facebook are so interested in them, regularly making headlines with claims they would like to use drones to make deliveries to customers' homes. 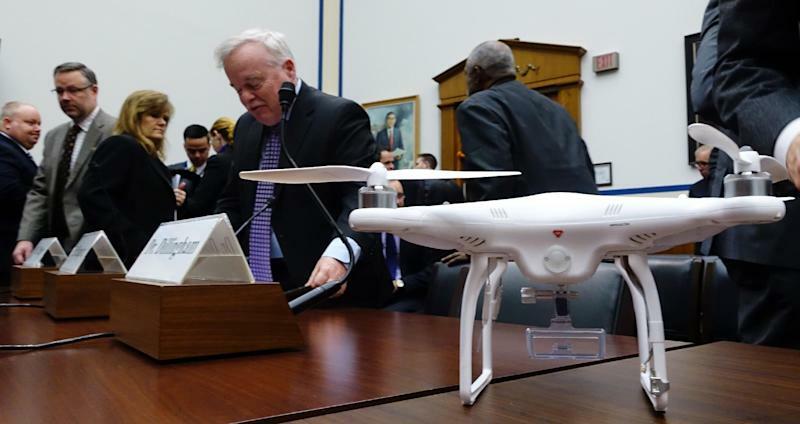 That is still a distant prospect, however, according to industry insiders, given the laws as they stand, which ban drones flying over inhabited areas, or flying at night and into "no-fly zones" around airports. Most see the home-delivery drone hype as a part of a bid to speed up a new law on private drones which is due to be adopted in the US in 2015, and which should give the sector a real boost. Amazon's founder Jeff Bezos claims that the main barrier in the US is not the technology, but the regulation. The Federal Aviation Authority (FAA) launched an experimental drone study in six US regions in 2013, and predicts it will be able to allow 7,500 mini-drones in the skies between now and 2018. There are still many questions about the use of drones, doubts underlined by recent incidents of drones flying over French nuclear power stations. More worrying are at least two reported near-miss incidents with passenger aircraft in 2014, one in the US and one in Britain, highlighting the need for proper training of drone pilots. Beyond that, there are thorny privacy issues, with drones capable of being used to capture and store images of people without their knowledge.